14 half hour episodes were broadcast on BBC Radio 4 in 1999 and 2000. All were scripted by Frank Dickens and featured the same cast, although some characters appeared in only one or two broadcasts. Transcripts for all broadcasts are listed below. BBC4 extra (formerly BBC7) regularly repeats the broadcasts. 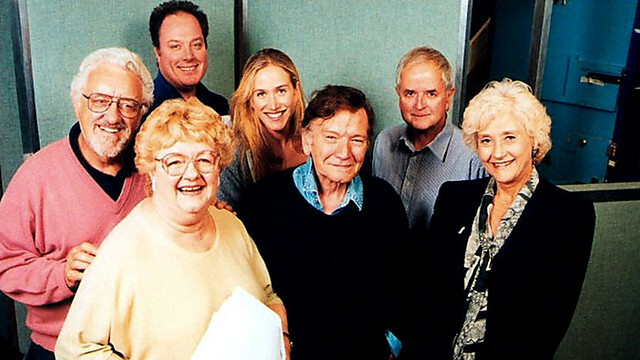 Some of the the radio cast - Roger Lloyd Pack, Joan Sims, Owen Brenman, Katy Odey, Michael Williams, Rodney Bewes, Liz Fraser. there are far more complex and richer sounds being uttered than can be expressed in words. VO means "voice over" and indicates when Bristow is speaking as narrator.